Hello everyone! 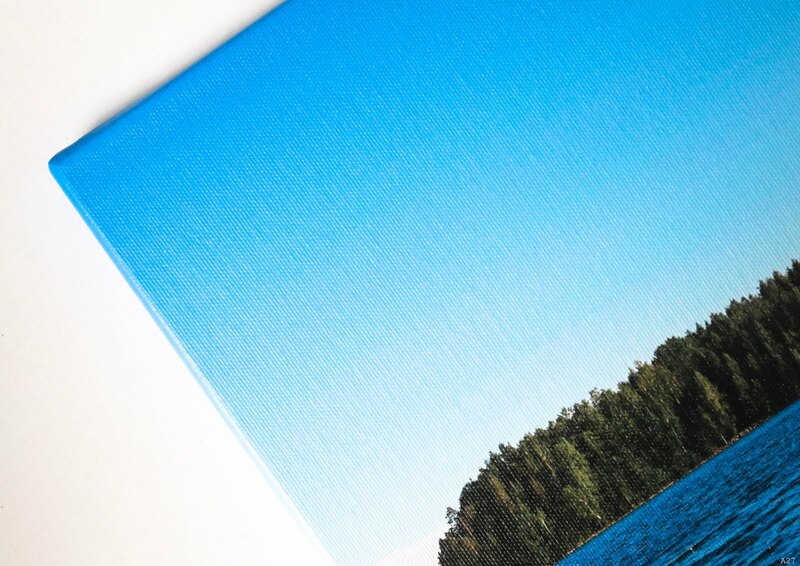 In today's blogpost I'll do a full review on my new photo on canvas! 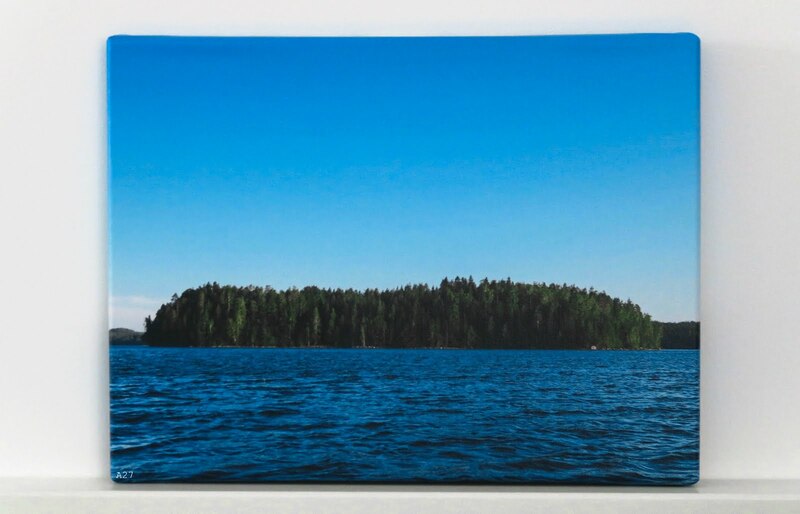 The picture on my canvas is one I took in Finland last summer. I really love how the blues turned out! I'll explain more about the company and the canvas itself if you click on READ MORE! This canvas is made by the Dutch company FotoFabriek. They sell pictures on canvas, photo albums, calendars, planners and way more. I was asked to test their photo on canvas. And I got happily surprised! 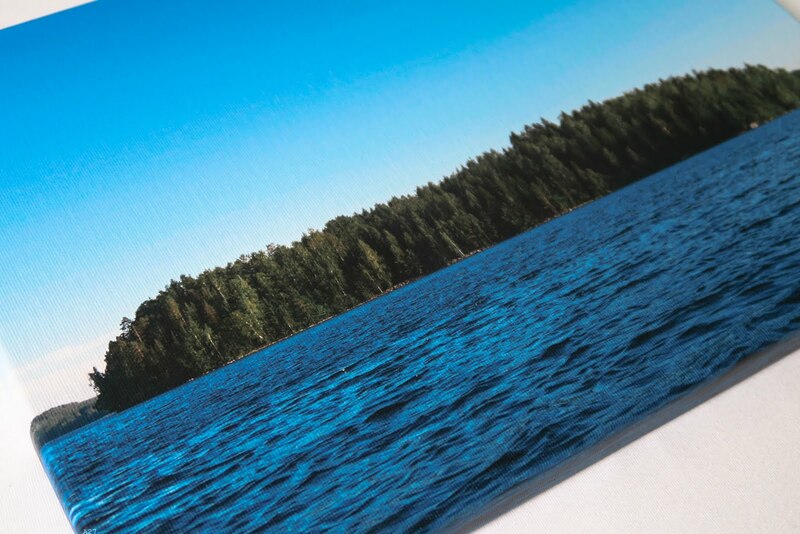 The picture that I choose for this canvas is one of my favourites from last summer. I took it while we (my boyfriend, my sister and cousin) were rowing on a little boat! The lake was looking so good with the pretty blue sky! The lake was a bit wavy, and so we sometimes had a bit of a struggle rowing. The memory of it, now having on this canvas is great! The quality of the canvas is really good! The canvas feels really thick and has a nice feeling to it. The size of my canvas is 40 by 30 cm. I received my package after 3 days of placing my order. Which is really quick in my opinion. On the picture above you can see how the canvas material itself looks. I choose this picture because of the details and gradient in blue. Printing this nicely is difficult and a great test at the same time! I'm so happy with how the colours turned out. What else can I say! The canvas looks great! Feels luxurious and the colours are perfect. 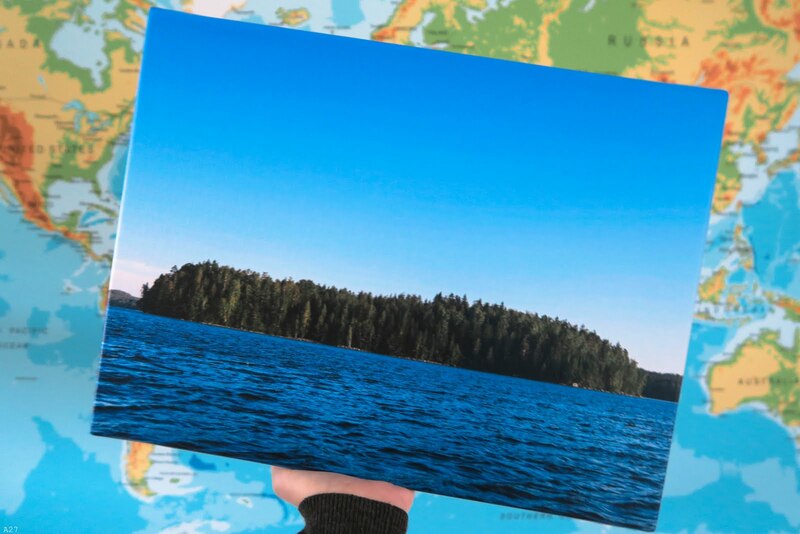 You can buy a photo on canvas by clicking on this link! 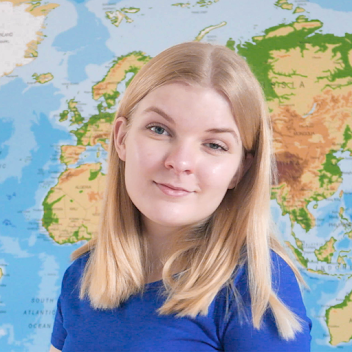 I hope you liked this little blogpost! I'll see you soon! * This blogpost is sponsored by FotoFabriek. All opinions are honest and my own! Mega leuk! Echt een hele mooie foto! !